Soaps cannot actually be 100% Organic or Organic (requires at least 95% organic content) due to the sodium hydroxide content. Since sodium hydroxide is allowed on the non-organic ingredient list, the most soaps can be is certified as “made with organic ingredients,” which only requires a minimum of 70% organic content. All soaps, even those made with certified organic ingredients, are made with lye, or sodium hydroxide (NaOH). In a properly made soap, all of the lye is consumed in a process called saponification, and is not harmful to the user. Many of the natural soaps made with organic ingredients are manufactured with cold process soap making. Cold process is named as such because there is no need for an outside heat source. 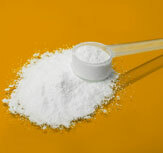 The lye mixture will create its own heat, with temperatures as high as 200 degrees Fahrenheit (93 degrees Celsius). A true soap is defined as being made from a fat (vegetable or animal) and an alkali (sodium hydroxide). Most commercial soaps fall short of this definition, as they substitute these ingredients with cheaper petroleum-derived surfactants, making them closer to a detergent. Soaps made with organic ingredients tend to be better for people with skin sensitivities, such as eczema or psoriasis, as they are free of harsh synthetic ingredients and fragrances that tend to dry out and irritate skin. Buying a soap with organic certification means that it meets requirements for organic growing, production, handling, storage, and processing practices and is guaranteed to be free of toxic pesticides, genetically modified organisms (GMOs), sewage sludge, and irradiation. However, many companies label their soaps as organic or all natural, but still contain unnatural ingredients such as chemical fragrances or dyes. 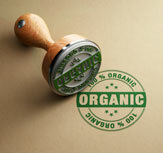 The only way to ensure a soap is truly made with organic ingredients is to look for USDA organic certification. Many synthetic chemicals commonly used in commercial soaps and other products, such as phthalates, parabens, and triclosan, are known endocrine disruptors, or chemicals that mimic certain hormones in the body. Scientists find that there is growing evidence that endocrine disruptors are linked to neurobehavioral problems, obesity, cancer, and infertility. In 2016, the FDA ruled that antibacterial soaps do not actually clean any better than regular soap and water. In fact, they may do more harm than good, as they can promote bacterial resistance and potentially cause hormonal imbalances with prolonged use. 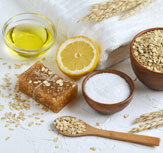 Using a natural soap cleans just as effectively without causing dryness or irritation from harsh chemicals. The skin is the largest organ of the body, and it does tend to absorb chemicals and other ingredients that it comes into contact with. That is why certain medications come in a patch that is applied to the skin. 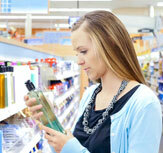 As a result, many of the ingredients used in cosmetics and skin care products, including soaps, may be absorbed by the body. A study performed by UC Berkeley and Clinica de Salud del Valle de Salinas found that after using products free of certain synthetic chemicals, such as phthalates; parabens; triclosan; and oxybenzone, teen girls had a significant decrease in the amount of the chemicals found in their urine. Organic soaps and other skin and hair care products aren’t just great for your skin, but also for the environment. Organic products mean better farming practices with less chemicals affecting soil and groundwater, and means less chemicals from the products themselves being washed down the drain. In addition to being made with organic ingredients, natural soaps are often cruelty free. This means that none of the ingredient formulas, processes, or final products has been tested on animals.